Greta Garbo was born today, September 18, in 1905. She was a Swedish-born American film actress during the 1920s and 1930s. In 1999, the American Film Institute ranked Garbo fifth on their list of the greatest female stars of classic Hollywood cinema. Garbo's films include Anna Christie in 1930. MGM marketers enticed the public with the catch-phrase "Garbo talks!" That same year she starred in Romance. For her performances in these films she received the first of three Academy Award nominations for Best Actress. In 1932, her popularity allowed her to dictate the terms of her contract and she became increasingly selective about her roles. Her success continued in films such as Mata Hari (1931) and Grand Hotel (1932). Many critics and film historians consider her performance as the doomed courtesan Marguerite Gautier in Camille (1936) to be her finest. The role gained her a second Academy Award nomination. Garbo's career soon declined, however, and she was one of the many stars labeled "Box Office Poison" in 1938. Her career revived upon her turn to comedy in Ninotchka (1939), which earned her a third Academy Award nomination, but after the failure of Two-Faced Woman (1941), she retired from the screen, at the age of 35, after acting in 28 films. From then on, Garbo declined all opportunities to return to the screen. Shunning publicity, she began a private life. Garbo never married, had no children, and lived alone as an adult. Her most famous romance was with her frequent co-star, John Gilbert, with whom she lived intermittently in 1926 and 1927. Soon after their romance began, Gilbert began helping her acting on the set, teaching her how to behave like a star, how to socialize at parties, and how to deal with studio bosses. They costarred again in three more hits, Love (1927), A Woman of Affairs (1928), and Queen Christina(1933). Gilbert allegedly proposed to her numerous times, with Garbo agreeing but backing out at the last minute. "I was in love with him," she said. "But I froze. I was afraid he would tell me what to do and boss me. I always wanted to be the boss." 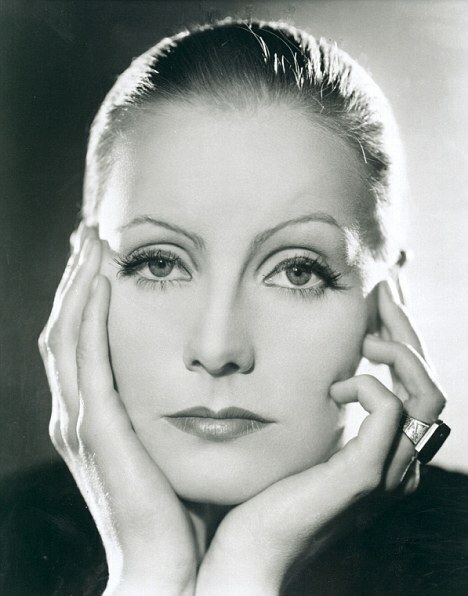 Greta Garbo died on April 15, 1990, aged 84, in the hospital, as a result of pneumonia and renal failure.